These 121-grain jacketed hollow point (JHP) bullets are a great option for shooters who want to craft fast moving, soft recoiling rounds for both competition and self-defense. 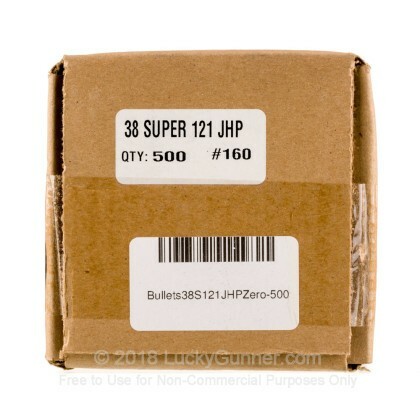 38 Super shooters have found JHPs, like the bullets in this pack, to be incredibly accurate at an appreciable distance when loaded to correct specifications. 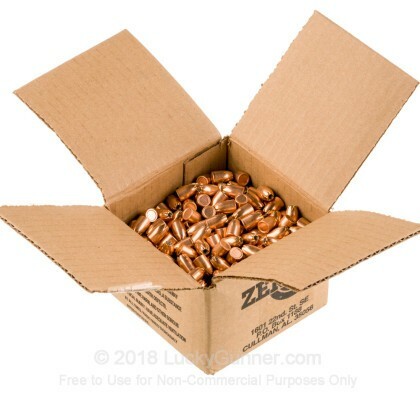 Zero Bullets is well known around the country for producing high-quality projectiles and loaded ammunition. 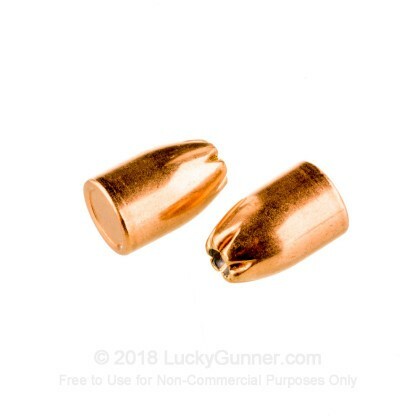 They are praised by reloaders for their precise consistency and true copper jackets which will withstand high velocities, unlike copper plated bullets. These light bullets have the potential to be loaded for high speeds without producing excessive felt recoil. The JHPs produced by Zero Bullets are cut high on the bullet body for easier cycling and function in a variety of pistols. The bullet's jacket covers the entire rear of the projectile in order to decrease lead residue in the air and the action of your pistol. They are also pre-serrated where the jacket meets the hollow cavity for more reliable expansion upon impact.